LA ROMANA, Dominican Republic --- "I'm done with office work," explained Pastor Ted Wilson from his perch at the top of some scaffolding. A natural handyman, Wilson gave up his role as General Conference President earlier this week to focus on brick-by-brick building of churches. 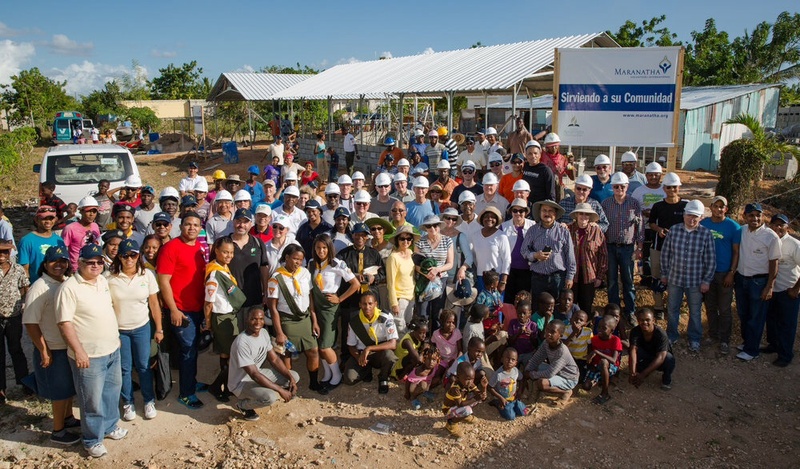 "I've picked this construction site in La Romana as the start to my new life because I've always loved the Dominican Republic and, quite frankly, I hate the weather in Maryland," said a hard-hatted Wilson. 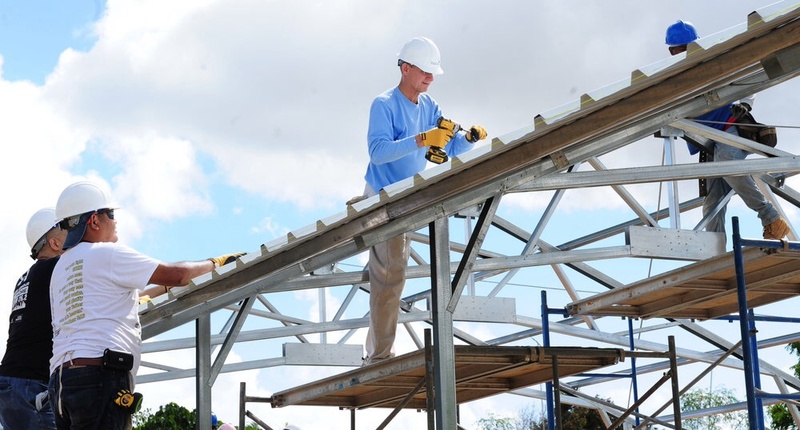 Dozens of other senior church leaders have flown to the Dominican Republic this week to support the former world church leader in his dramatic career move and help him with his first, post-presidency construction project. 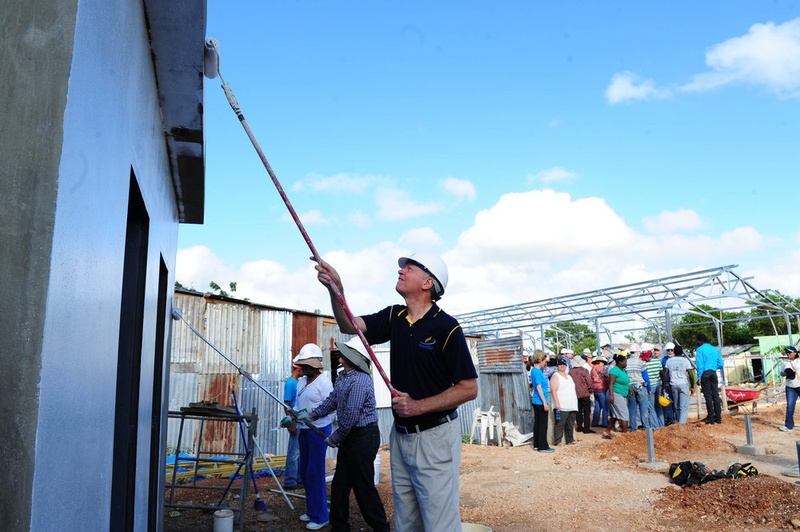 With everyone from veteran evangelist Mark Finley to division presidents from around the world scurrying around with paintbrushes and shovels, the construction at La Romana's Villa Caoba Adventist Church has been a testament to the amazing sight that is church bureaucracy at work. "This is way more fun than pushing paper back in Silver Spring," admitted a high-ranking church official who asked to remain anonymous. "Ted's on to something here but I'm at least going to finish out my term before I think about permanently joining him." For his part, Wilson says he could care less about seeing his first term to conclusion at the General Conference Session in San Antonio this summer: "I figure I've had a solid run for almost five years now and I could do without all the politicking with the delegates. I'm quitting while I'm ahead." Did Wilson retire before, during or after the San Antonio meet? It will be great to see Ted in his overalls, tool belt, hard hat, work gloves on the job site. The first job of any new construction worker is to be the “GO FER”. Also, he must join the Union, keep his card up to date, attend meetings, participate in walk outs, work slow downs, pay dues & do what the shop steward sez!! A modern day Nehemiah!! Woe is me. If only this were real. He is a horrible leader. He marginalizes people who do not deserve that. I so wish this were true! It is like having Bush and Clinton in office over and over again. Enough already! I hope he doesn’t get reelcted for real! Love this humor, it made my day. To those women who would join Ted Wilson’s construction crew: watch out: Ladies who think they are qualified and experienced to operate power tools will have to wait for a vote from the General Construction council. In addition, an in-depth theological study about the role of women in construction must also be done. Women are allowed to work with the power tools as long as they are not formally certified or licensed as carpenters. They can do the same work but not have the same certificate. By the way, organic whole wheat bread is not good enough. It needs to be made from raw, unmilled grain (not flour) – “Ezekiel bread” . . . This is a great example to well meaning Adventist everywhere, like our master who went about doing good, our president is leading by example.